The PKI 6110 is a powerful and portable jammer for mobile phone frequencies. 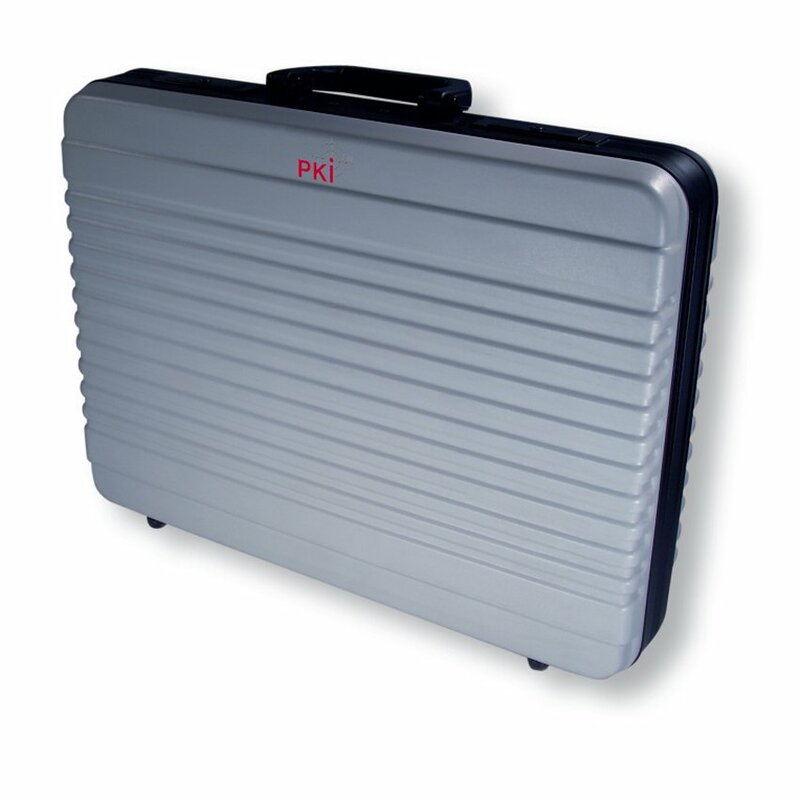 By means of its unobtrusive suitcase design, it is easy to operate on-site. The built-in lithium batteries provide independent and continuous operation up to 4 hours. The transmitting power can be adapted to the requirements and its integrated panel antenna provides immediate application. The PKI 6110 can also be equipped with an omni-directional or directional antenna for stationary use. The built-in batteries are chargeable during operation. The jammer comes with a wide range power adapter for worldwide operation. The PLL synthesizer controlled power amplifier covers GSM and UMTS frequency ranges from 450 – 470 MHz which makes the jammer suitable for changing environments. The special design of the jammer transfers the thermal energy produced by the power amplifier to the outside so that even continuous use under tropic conditions is no problem.